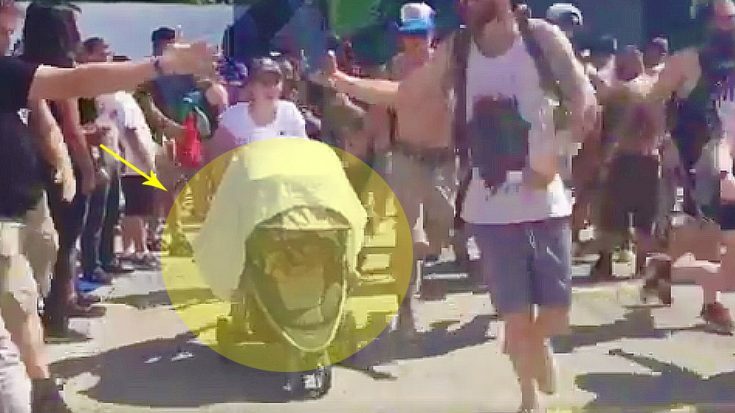 Thankfully, baby was just fine; the crowd made sure to slow it down and keep it gentle so as not to risk a rogue kick or shove to either mom or baby, and according to dad who chimed in on Twitter, the baby was actually peacefully sleeping in her stroller the entire time. Oh, the things you’ll see at rock concerts. Sound off in the comments below and let us know: what’s the craziest (or coolest!) thing you’ve ever seen at a concert?